Welcome to The Essential. Follow these posts, collect these staples and you will have a solid foundation to start building some serious style. 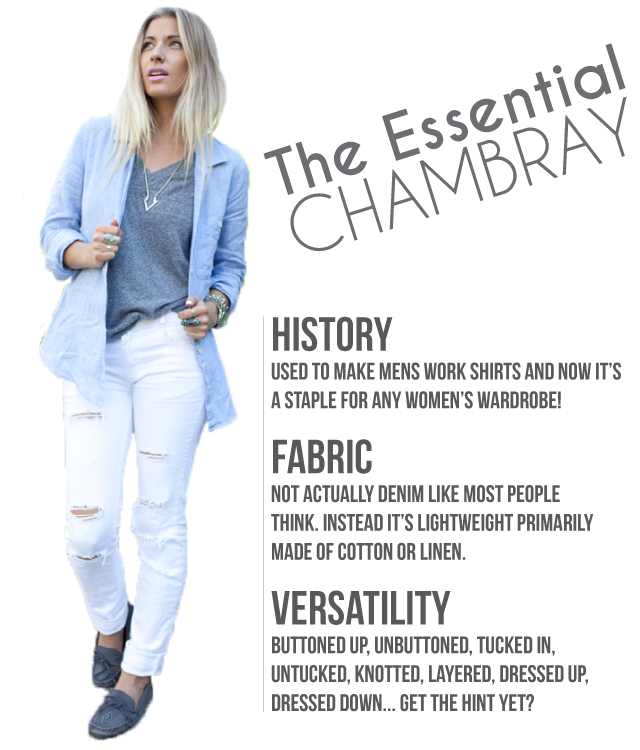 Don't worry I thought denim counted as chambray for a long time too, nobody's judging! As mentioned above chambray tends to be more lightweight than denim making this piece especially perfect for spring/summer. Being a thinner fabric also allows for more styling versatility. Yes it looks great on it's own, layered overtop of another shirt like I've styled mine, but it's also easy to layer under other pieces like sweaters, blazers or jackets. Aside from it's lightweight, chambray is identified by it's even-weave of coloured warp yarns and a white weft yarn. The coloured warp can be any colour really but it's history and how we recognize it today is mainly blue. If you want to get even more specific with details look for is its loose fit (check), ability to roll up sleeves (check), two chest pockets with button flaps (ok so I have one pocket, no flap but there is a button) and reinforced stitching (no idea but probably not since mine is for fashion not working in). 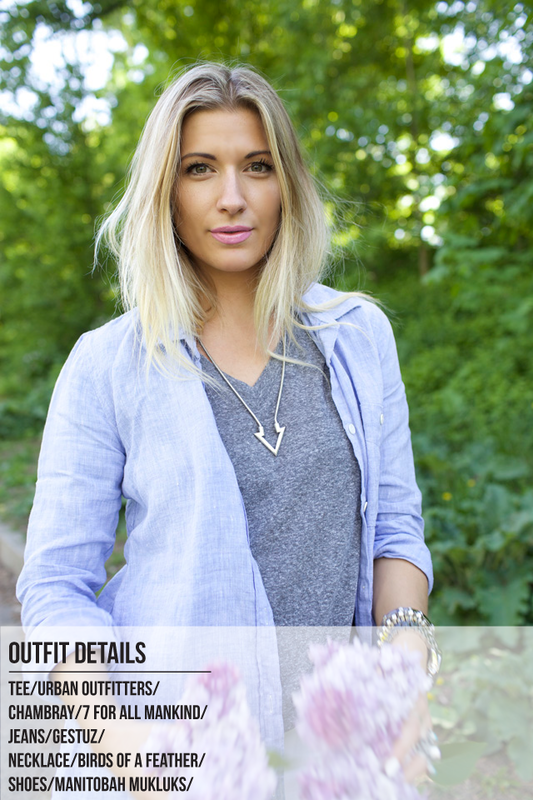 If you're still not convinced that this should be a mandatory component for your closet then check out my Pinterest board for more chambray styling inspiration.